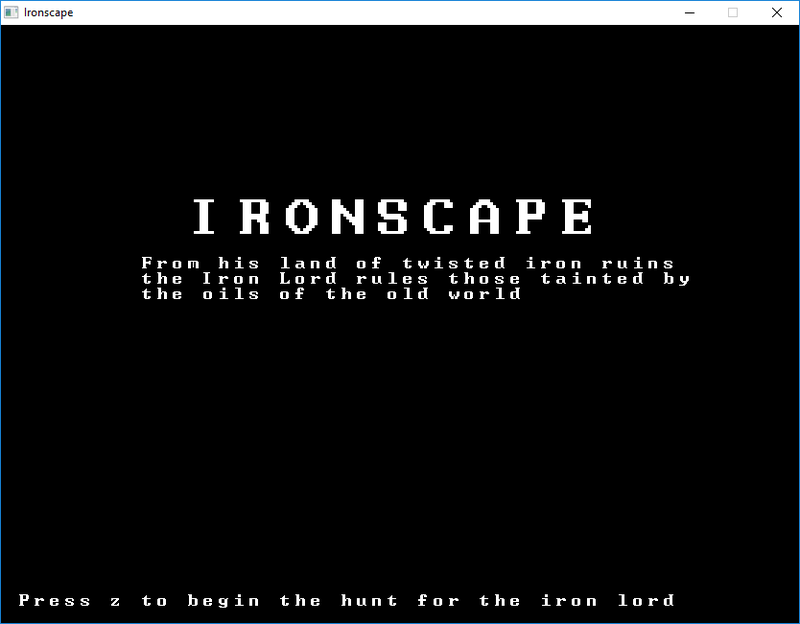 Hunt down the Iron Lord in the ruined iron fortress. 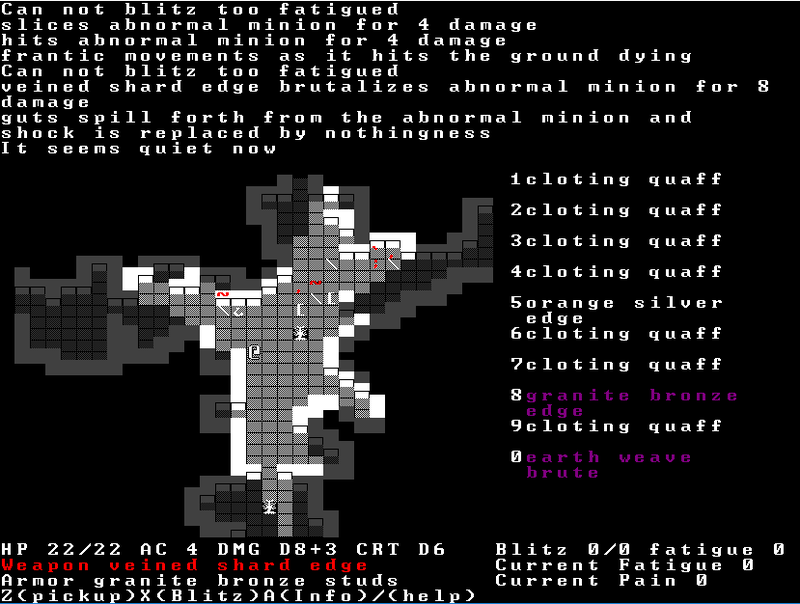 Die quickly to randomly generated minions. Be bombarded with far too much description text made in the late hours of a morning.Defeat minions with strategy and randomly generated materials that they are weak to. 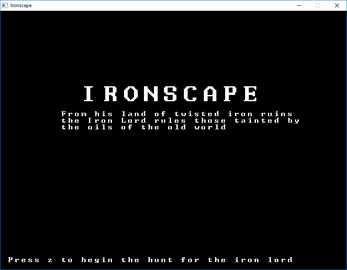 Be eviscerated by the Iron Lord after you walk 10 steps into the room! All in a strangely tiled roguelike.